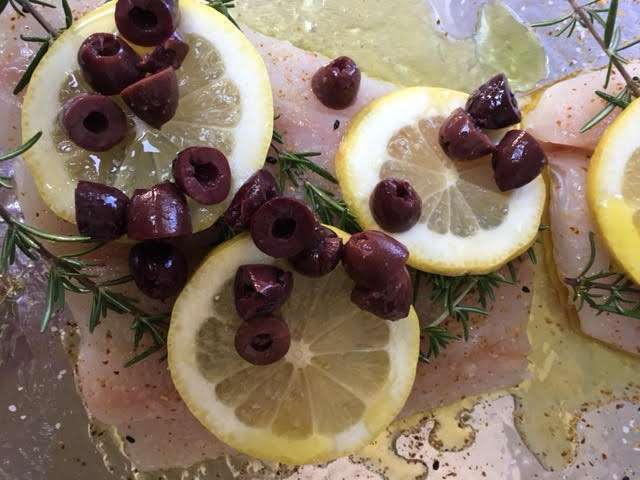 Paula Bittner whips up a quick, easy and very tasty Roasted Halibut from local purveyor Saratoga Meat and Fish Shop. I picked up Jerry, or Dr. Bittner as most people know him, from the airport this week. He was giving a lecture in Washington, D.C., so it was a long flight and he was hungry. We stopped at Saratoga Meat and Fish Shop ( 14320 Saratoga Sunnyvale Rd., Ste 5, Saratoga, CA 95070) on the way home and met Tony, owner of the shop and local Saratoga boy. Tony’s father was also there, a retired dentist, Dr. John Nora, that practiced on Moorepark Ave in the same building as Dr. Bittner Sr, and Dr. Alcaraz (Jerry Jr.’s mom) over 30 years ago. It’s a small world! We bought some beautiful wild Halibut that turned out to be amazing. I found a great 5 star recipe on the New York Times over 577 reviews. Try out this super simple recipe, we absolutely loved it and will be cooking it up again. HEAT OVEN TO 450 DEGREES. PLACE FISH IN A BAKING DISH, BRUSH FILLETS WITH 1 TEASPOON OF OIL AND SEASON WITH SALT AND CHILE PEPPER. 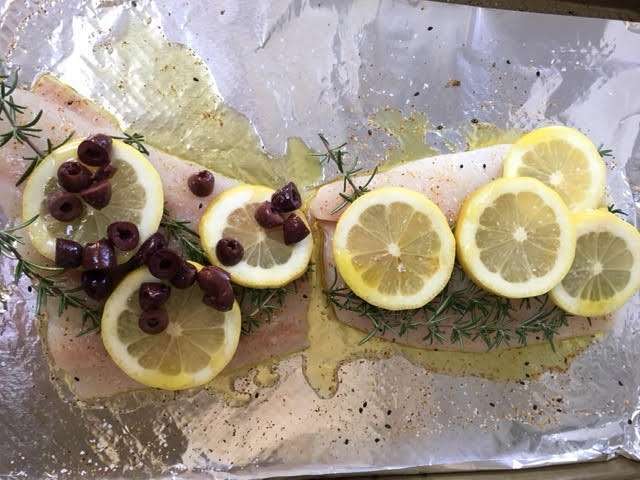 TOP EACH FILLET WITH A ROSEMARY BRANCH AND SEVERAL SLICES OF LEMON. DRIZZLE REMAINING OIL OVER LEMON SLICES AND SPRINKLE WITH ADDITIONAL SALT. 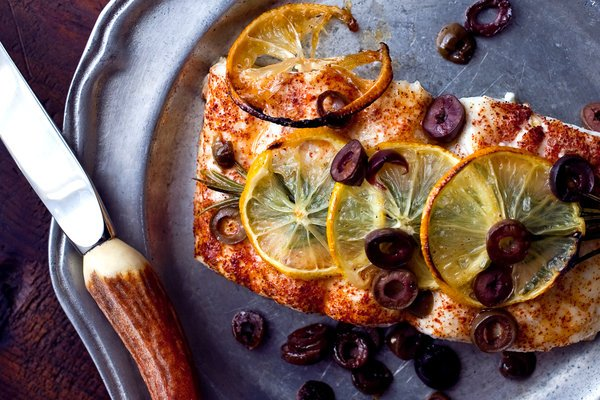 SCATTER OLIVES OVER FISH AND PAN. BAKE UNTIL JUST OPAQUE, ABOUT 10 MINUTES. IF LEMON SLICES HAVE NOT BROWNED OR SINGED (THIS WILL DEPEND ON HOW THINLY YOU SLICE THEM), PLACE PAN UNDER BROILER FOR 1 TO 2 MINUTES. SERVE DRIZZLED WITH MORE OLIVE OIL; SPRINKLE WITH MORE SALT AND CHILI, IF DESIRED.